2018 brought us many legislative news, with a major impact for most of the population and for the business environment. Among the most important changes, there is the application of the split VAT payment mechanism. Therefore, starting with this year, in addition to the obligation to verify the validity of the VAT codes of your suppliers and whether they apply VAT upon collection, you shall have to also verify if such suppliers apply the split VAT payment. By means of the VAT Hunter application, the companies can verify in real time the status of suppliers/clients in terms of VAT, thus making their reporting process easier. It also allows the verification of VAT codes in the VIES database (an essential condition for the companies involved in the cross-border transactions in the EU). 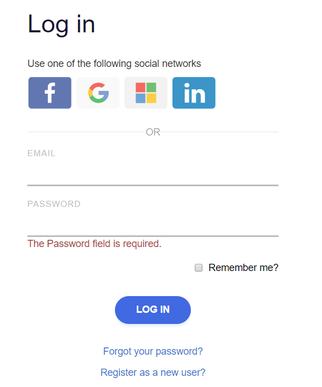 You can connect either by creating a user account or through your Facebook, LinkedIn, Gmail accounts. The application may be used in the standard version by uploading either a file in Excel format including a list of the VAT codes of business partners or the xml file related to the 394 statement. 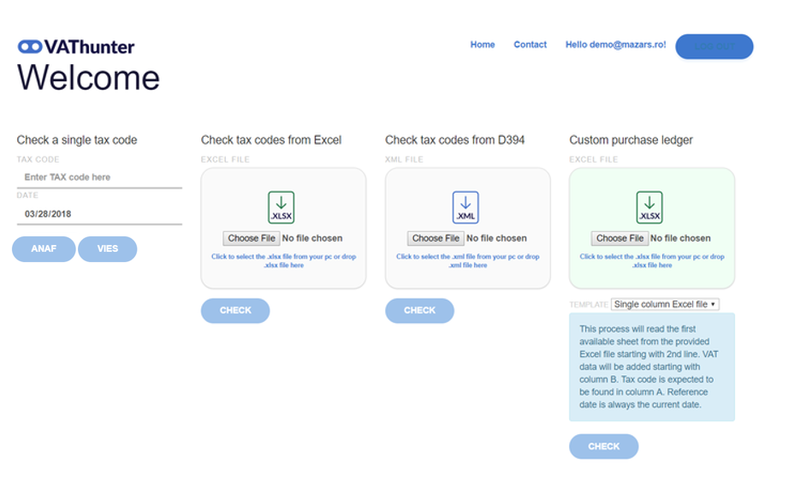 In addition, the application may be used as a source of information about the companies’ VAT logs, and may be adapted according to the user’s needs.